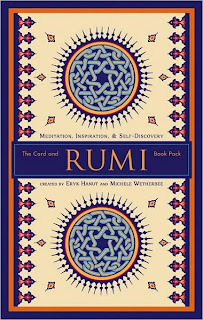 The Rumi: The Card and Book Pack by Eryk Hanut, Michele Wetherbee, Michele Wetherbee, Michele Wetherbee (Tuttle Publishing, 2006). Thirteenth-century Persian poet Rumi remains one of the world's most popular mystics and poets; his fans include PBS' Bill Moyers, among others. Tuttle is proud to offer a beautifully produced package of Rumi's peerless wisdom, in a new translation text and 54 interactive cards. The book explores the history of Rumi and his career as a spiritual instructor and sage. The colorful cards are divided into six families-birth, love, ordeal, transformation, warnings, and rewards-and come with interpretations and instructions for using them for meditation, inspiration, and to answer life's questions. Attractive, handy, and easy-to-use, Rumi: The Card and Book Pack is a fun, enlightening way to arrive at greater self-knowledge through the insightful words of one of the greatest sages of all time. Eryk Hanut is the author of Perfume of the Desert: Inspirations from Sufi Wisdom, and co-author of Mary's Vineyard: Daily Meditations, Readings and Revelations. His articles have appeared in many national publications, including Yoga Journal, Body, Mind, & Spirit, and the Los Angeles Times. Michele Wetherbee, a resident of Petaluma, California was formerly Creative Director at HarperCollins San Francisco and art director for Giftworks, a division of Chronicle Books. Open your heart, and you will hear the lutes of the Angels. The mirror of the heart must be polished constantly Before you can see clearly in it Good and Evil. Happiness is more precious than wealth; May millions of mercies rain on your dancing! Look for the soul, you become soul; Hunt for the bread, you become bread. Whatever you look for, you are. You want everything to be yours? Become nothing to yourself and all things. Whoever doesn’t show himself humble today Will tomorrow be humiliated like Pharaoh. 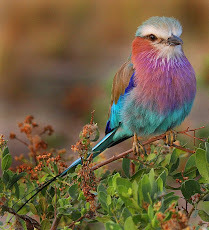 The more you strive to reach the place of Splendor, The more the invisible Angels will help you. After despair, many hopes flourish Just as after darkness, Thousands of Suns open and Start to shine. Before death takes what has been given to you, you must give away everything you can give. Put your trust in him who gives Life and Ecstasy. Don’t mourn what doesn’t exist; Cling to what does. How can victory be won without spiritual war and patience? 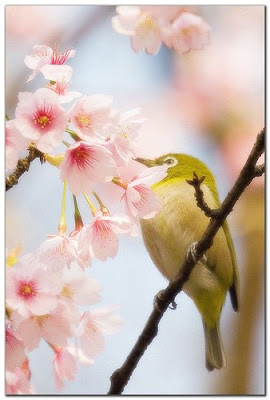 Give proof of patience; Faith is the key to joy. If you know how to be patient, He’ll offer you the seat of honor; He’ll show you a hidden way that no one will know. Through Love, disaster becomes good fortune. Through love, a prison becomes a garden. Do not call a cup Sea; Do not call mad the sage of Love. Eat on and on, you lovers, at Eternity’s table; Its feast is forever; And spread out for you.